Ahhhh Easter! You know what that means? The Easter hols are here and we’re on our way to Summer. So, it’s the perfect time to escape with the fam and enjoy some much-deserved sunshine! Slides are back on the scene, and with our fave brands refreshing their holiday essentials, you can get the whole fam sliding into the holidays! These white Nike Slides bring a clean update to your suitcase. Perfect for poolside wear or off-duty chillin’, Slides are the no.1 summer go-to. Upgrading your case with the latest retro revival, this women’s Colour Block Bandeau Bikini Top and High Waist Bikini Bottoms keep your look statement when you step to the sand. In a figure flattering fit, this two-piece brings must-have throwback flavour and gets you feelin’ fire this Easter! If Easter was a colour it would DEFO be yellow – right?! 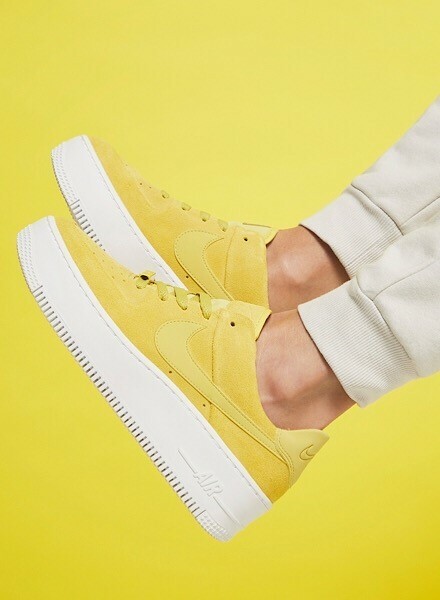 🐣 So what better excuse to cop these Air Force 1 Sage Low sneakers from Nike! Bringin’ that pop of colour you’ve been craving all winter, these sneakers brighten up your ‘fit in an instant. Fancy something more low-key? Check these Air Force 1 ’07 LV8 sneaks for your daily dose of spring vibes! 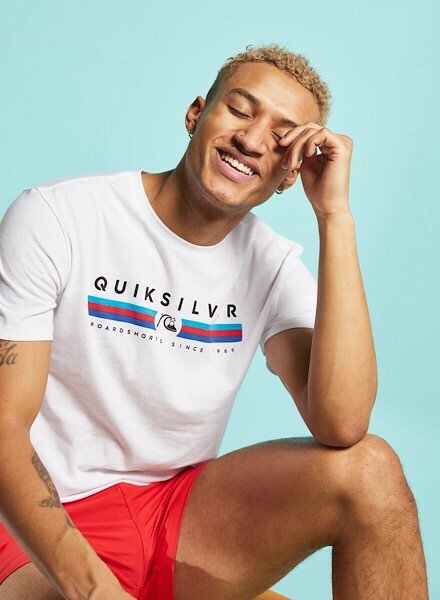 Landing at JD last month, Quiksilver‘s been quick to take over our holiday must-haves. Get ready to spend the day poolside or dive into the water with the collection of Everyday Swim Shorts, or get some relaxed style with the selection of tees and vests for the complete off-duty look. Still in need of a fresh new ‘drobe for your Easter getaway? Check out the latest on site now!